1. Thanks so much Lisa (from O-town) for the wonderful package! 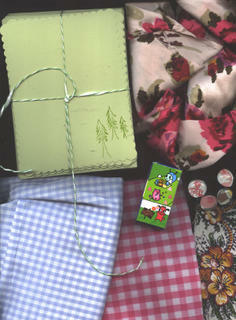 She sent me fabric, handmade cards, cute magnets, and a few other goodies. I am so lucky, two swaps in one week. Aren't the little trees so cute? 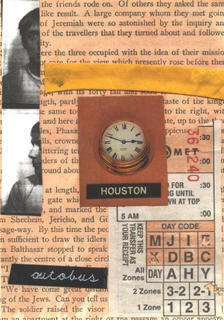 Check out Lisa's art by going through her bolg-Lisa's Musing (link is on the side). 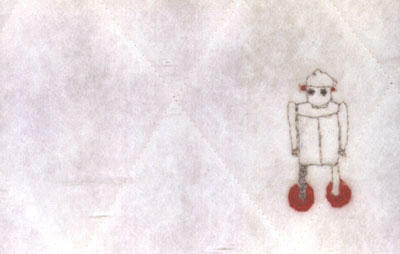 The little robot is hers-isn't it beautiful? 2. I am working on the camera thing. For proof that I actually CAN sew you can look here. 3. 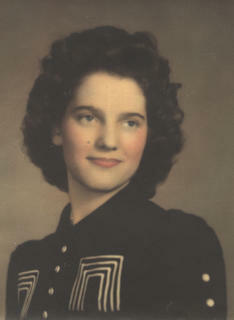 My grandma June is pictured above in lieu of my self portrait. In a way, I feel as though she is a part of me. She died of cancer in 1972-ten years before I was born. I was born on her birthday so maybe she IS part of me. That year was the year my mother's mother and my mother's father also passed away. It is the year my mother converted to Mormonism (and my dad re-converted) and the year my sister Jana (my parent's 3rd daughter) was born. In that year, my parents bought the house they live in today. My mom was 25. I am 23, and the thought of that all happening at once makes me want to crawl in a hole and hide. I wish I could have known my grandparents. I feel like it is an important part of understanding your parents. I only briefly knew my dad's dad, but by the time I was born-he was deep in the grasp of alcholism. My heart breaks for my dad, I cannot imagine what it would be like to have an alcholic parent. I now understand why it was so important for him to stress complete sobreity. I wonder what my grandma June felt about it. I wonder if she would like me-you know? 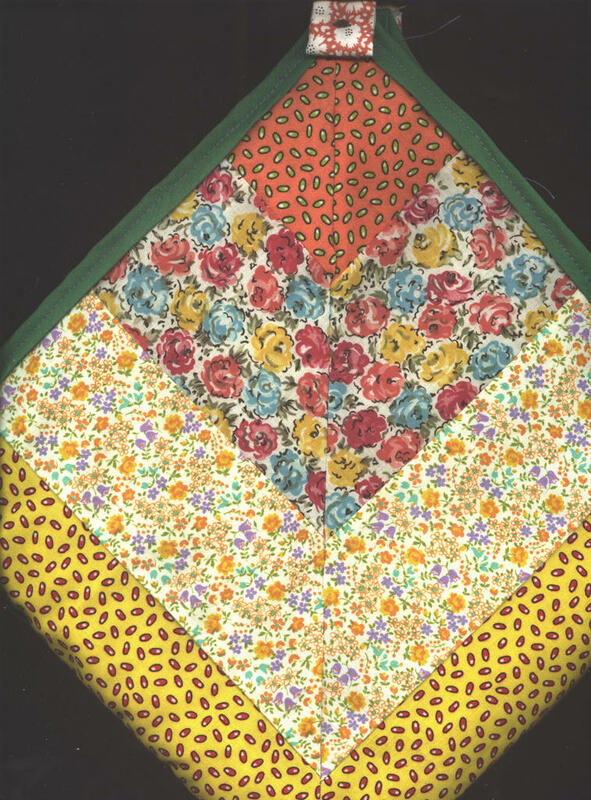 Would she be proud, would she have doted on me, taught me to sew or how to properly clean? Would she have approved of my short hair and complete fear of makeup? If I have kids-they most know my parents. I've been tagged and swaped! Still no camera, but I AM looking and shopping around. So in the meantime, I am going to do a little post about this book I got a little while back. 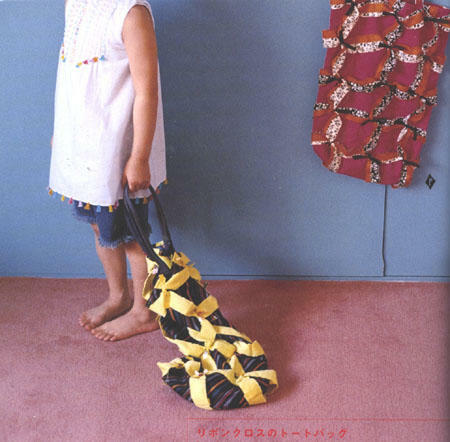 Yes, it is Japanese-and I think the title means something like "how to make old things new"-I'm not sure-but all the patterns are made using old fabric. 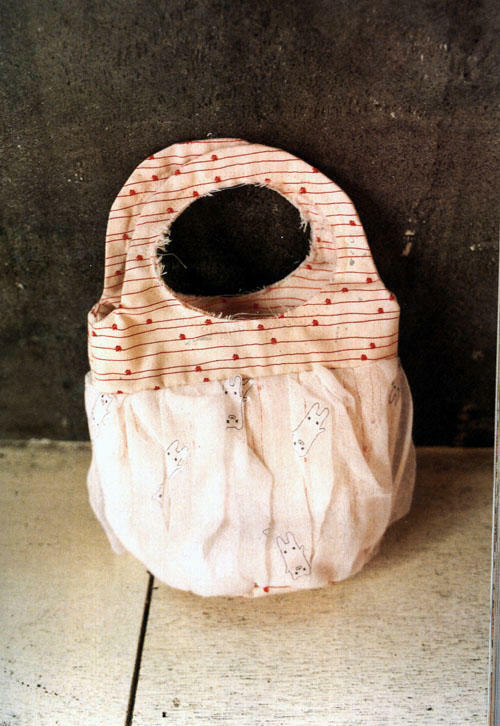 Skirts, dishtowels, blouses, curtains, pants, even something called a zabuton (someone said it's a floor cushion) are used to make these super cute bags. There are illustrated instructions in the back as well as a tear out pattern section. 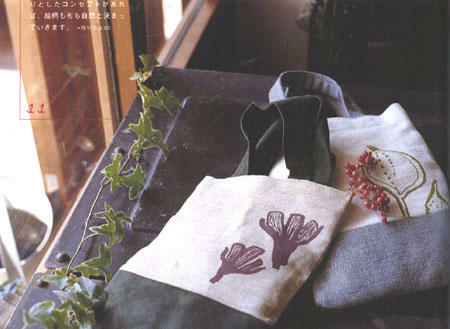 In the pattern section it even includes a copy of Lotta Jansdotter's design which you can use if you know how to screen print (or paint it on the bag I guess). It's the design on the last bag there-the plantlike one. You can learn more about Lotta here. She's been around for awhile, but I just really like her stuff and there's this great book about her that's been published in Japan. You can see some flickr pictures starting here. 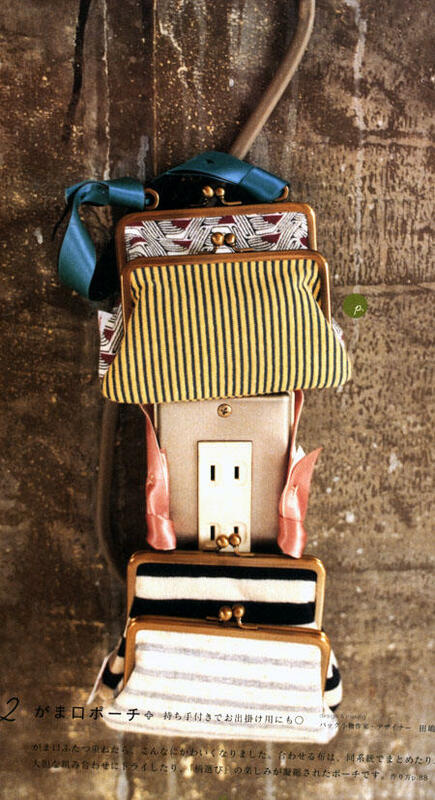 This is a beautiful bag and I find it to be very inspirational. Does anyone use these anymore? 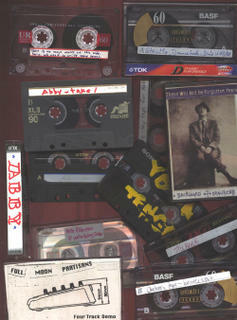 Here is a small part of my collection of mixed tapes. They are from old boyfriends, sisters, and friends. 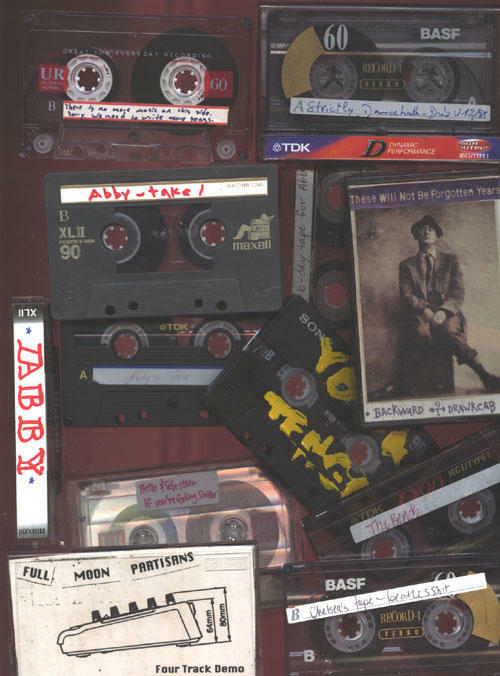 I pretty much only listen to tapes. I buy or burn cds and then sit down on the floor with several lists and create my own mixes. I am so 1992-but I just really love tapes. Even if I burn a mixed cd-I'll end up changing the order of the mix on the tape. 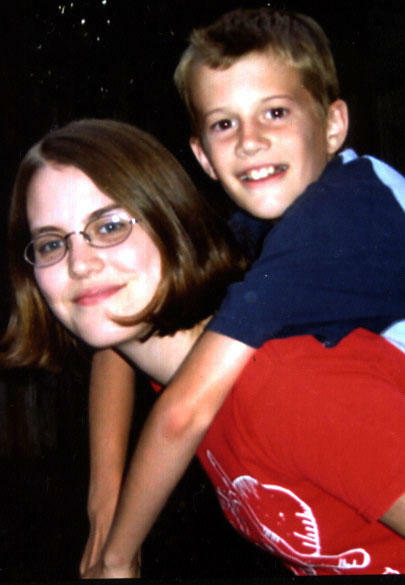 One of my favorites is from my friend Ali C.-a birthday mix from my sweet 16(1998). 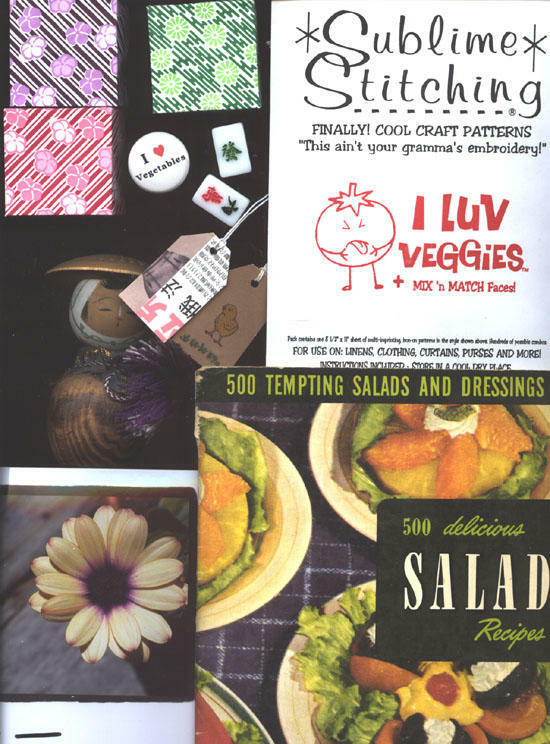 It has good old Liz Phair, blur, beck, veruca salt, ash, and some cranberries. Yes, it is old-but I love it. My obsession with tapes started young, we would make our own radio shows when I was little. And of course-having 7 sisters, I started seeing the art of wooing a guy through mixed tape at an early age. I think of it this way-I like phones with twisty cords(not cordless), typewriters(not computers), videos(not dvds), and tapes (not cds). I am so not gonna start a swap. But I would really love to exchange some mixed tapes. 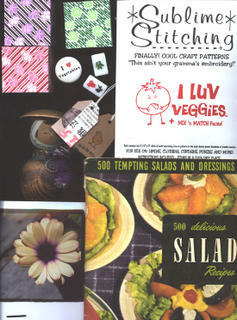 I love working to figure out just the right order, collage-ing a funny cover, and wrapping it in silly paper. Wasn't that fun? I've seen music swaps around on blogs these days-but they're all "high tec" and use cds. Doesn't anyone out there make tapes anymore, or am I alone? Today I am feeling a little crampy and not so hot (very cold actually) and am knitting an incredibly easy, long, scarf. Above is an up close picture of it. I bought this very thin brown and fern green wool a few months ago at Knit/Purl before I realized I only need to buy exactly the amount of yarn for a lovely project-not an inexact amount for no particular reason. 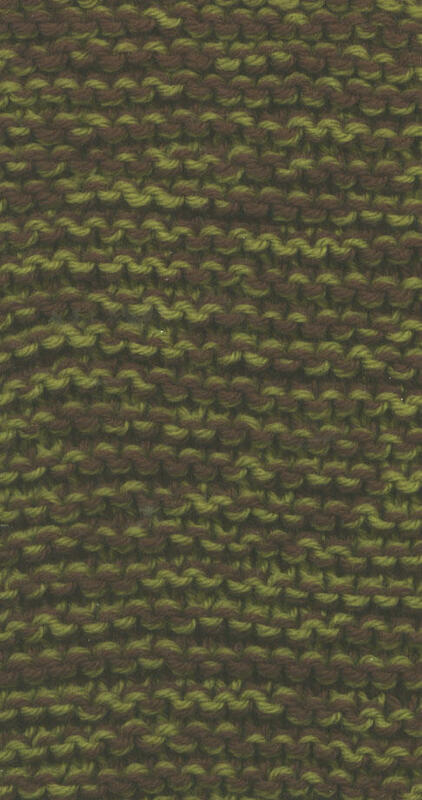 So today, I am just surfing flickr while I knit this scarf. 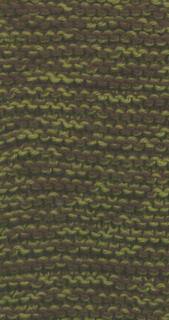 I think that the two yarns held together and knit look cool. I'm gonna add some tassels and I think I will be sporting it this fall. 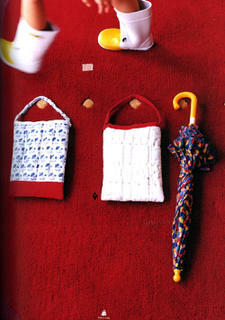 Sometimes I get all caught up in the fact that I need to be braching out with my kniting (like tackle those socks!) but sometimes I feel it's the really simple stuff I actually like to wear. It's like "do I knit to knit-or do I knit for thr product"? ***In other news, I got a new Japanese craft book. It's awesome. The patterns use old clothes, tea towels, blankets, etc. You can see photos starting here. Above is a picture of Jared, my nephew, and I and my sister Juli with her daughter Brianna. I miss my nieces and nephews so much. I now have 9 of them which is kinda funny because my mom and dad have 9 kids. Being an aunt from the age of seven definitley affects you and I miss that role a lot. Not that I am not still an aunt-but I'm used to being up to my ears in kids and I'm so far from home now. 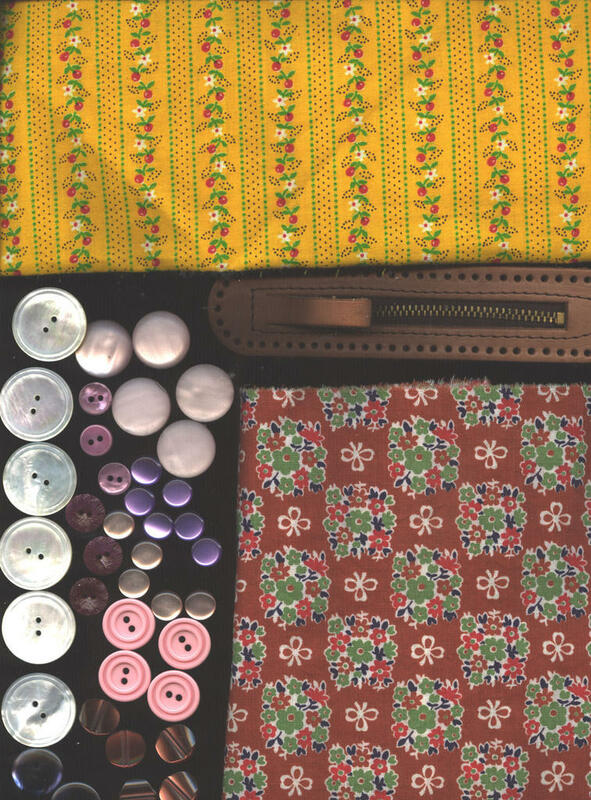 Sign-up now for a vintage swap!! Toni from here has started a "vintage swap" which you can sign up for here . You take whatever cool vintage stuff you can find; tea towels, fabric scraps, buttons, rick rack, postcards, rosaries, knitting needles, whatever-and stuff it in a standard 81/2 by 11 inch manilla envelope and mail it off. Then, you get to wait for your goodies to arrive. Think of the possiblities! I am excited. And it's great cause you don't have to spend a lot of money and you have (I think) about a month to scour your house, junk stores, and yard sales for your treasures! Go sign up!!! You do have to have a blog though-so Mom-go make one (it takes like 5 minutes with blogspot-seriously) and sign up! This means you! 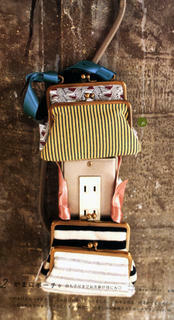 Lesa, you and Lorraine go get a blog and do it! Not to change the subject.....but on a happier note...here are some of my finds over the past few days. 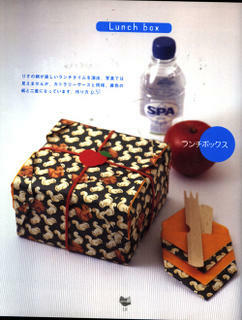 I got a Japanese paper craft magazine and a Donna Hay magazine-both of which will be in the mail soon as part of a swap. The paper book is really cool, I am just not that great at paper crafts. 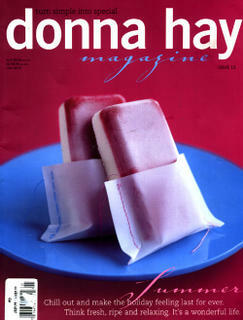 The Donna Hay magazine is kind of like an australian cooking Martha Stewart. It is truly beautiful but almost all the recipes include meat. So I am swapping with one of my flickr contacts and I am so excited! Also, thanks to Maitreya over at craftlog and James' mom-the magazine I was searching for was the Feb. 2001 issue. 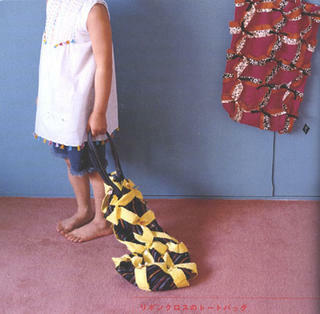 Above is the picture I was searching for-so cute! 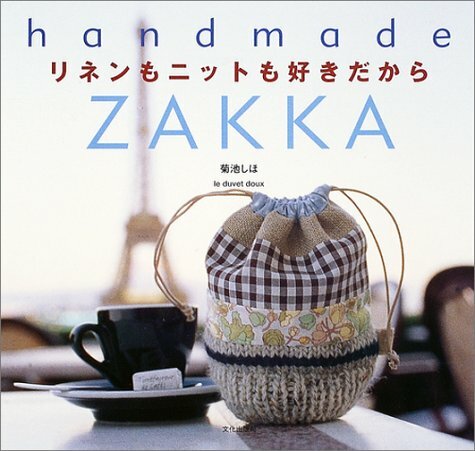 My first real Japanese Craft Book!!!!!!! Oh my gosh! I am going to have a heart attack! James and I worked the early shift this morning and he was nice enough to drive out to the suburbs so I could drool over way too many Japanese Craft Books. The cuteness was almost too much to take and I found myself wondering why I spent time living in France learning the language when I SHOULD HAVE learned Japanese. Thank you Super Eggplant for telling me about this place. 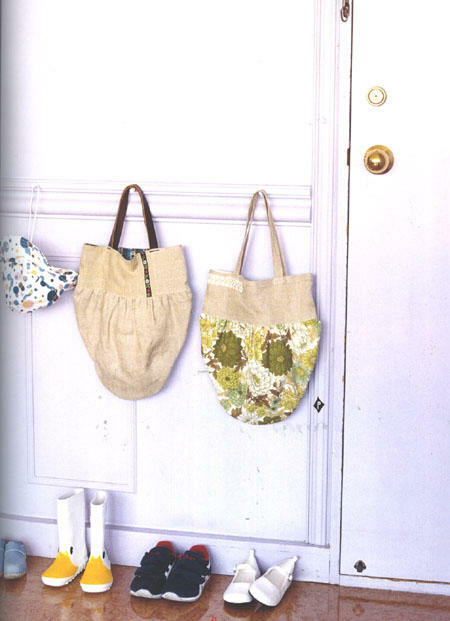 I finally decided on a book with 20 patterns (yes-the patterns and illustrated instructions-I love these guys) for bags, purses and wallets. You can see more pictures of the book-including the cover and isbn here. 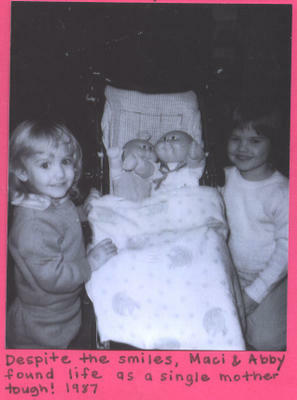 Well, here I am with my little sister Maci and our cabbage patch kids. Over the years I think I had over ten cpks all together. I loved them so much and until about the age of 12 I believed that they would come alive at night - crying if they had a bad day or throwing a party if it was a good one. My sister Ally just had a new baby, Sean Michael. I wonder when I will be a mom. Will the many years of raising cabbage patch kids help, or was that in vain? I had my six-month review at work yesterday. I cannot believe James and I have been here that long! I feel like our apartment is our home, but I really miss my friends. I need more crafty ones-hello sam-move here please! 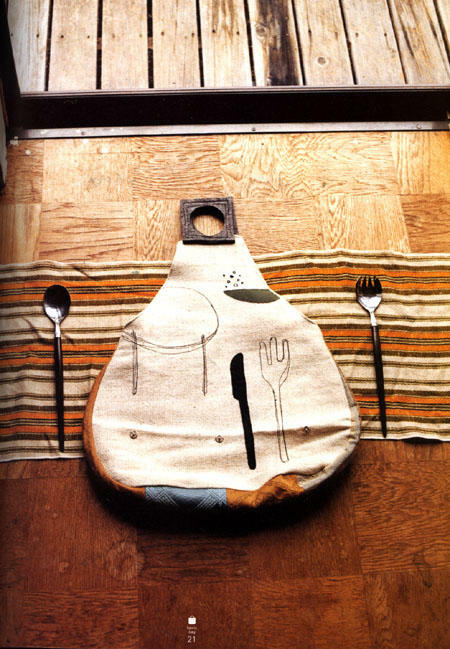 I am searching despartely for a Martha Stewart Living Mag that had a small article on embroidery which included an embroidered dishcloth turned into a cookbook cover. If anyone knows what I am talking about-please email me with what issue it is-I am losing my mind. I've looked on the web index and can't seem to find it. Thanks! they are-I lost it. 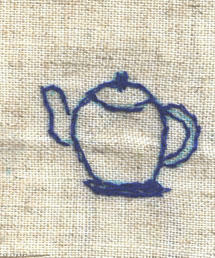 The teapot I embroidered on linen above is super tiny (about 1 1/2 in) and will be part of a tiny coin purse. 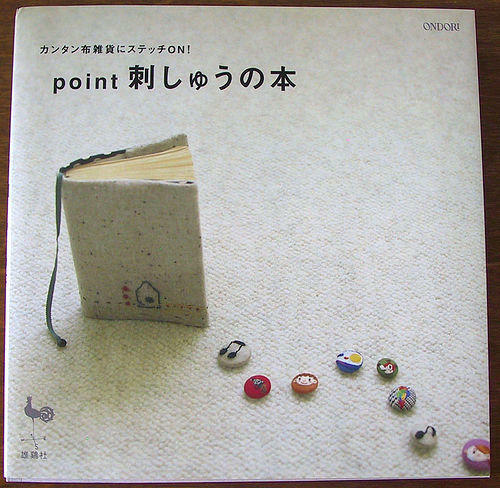 My favorite "zakka" (Japanese craft) book is one called point. You can see beatiful pictures here. What simple, yet stunning projects are in it! I must have it. 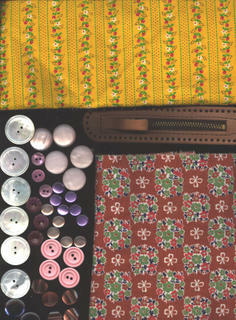 I went to the fabric thrift store and scored some cool vintage fabric and interesting buttons. The yellow one reminds me of Mary Englebriet (but not as cheesey). 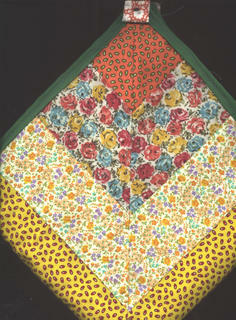 I really want to start quilting I love modern qulits-but these ones are too cool. No knitting-it has actually been really hot the past few days! 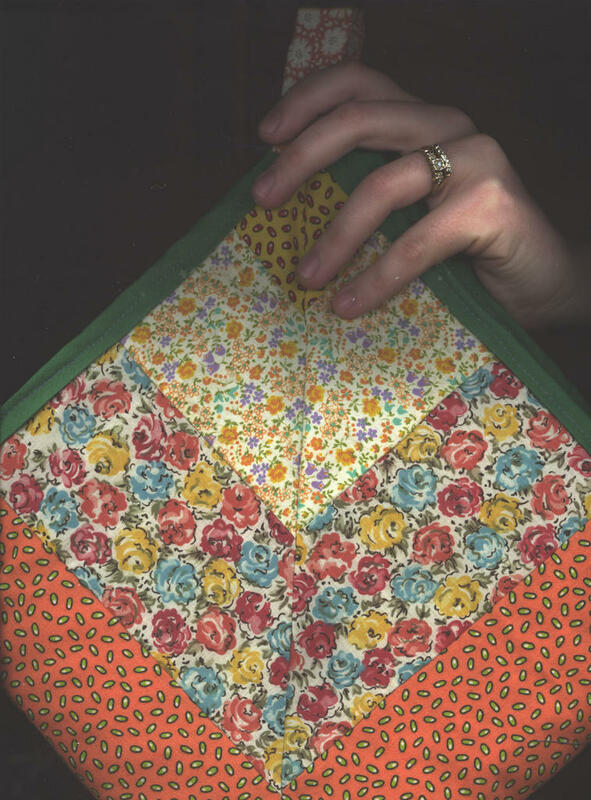 Here is my "hand" self portrait with the quilted bag I made yesterday. It's my "knitting on the bus" bag. 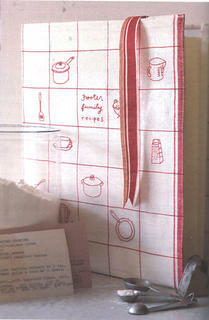 The bageis just perfect because the sides are open and allow for great yarn flowage! I am a little proud of it-since I used no pins, patterns and my sewing machine is from 1922 (literally). I need to sew more. Sun-loving Californian who recently transplanted to the Pacific Northwest and is currently obsessed with all things crafty and is always obsessed with magazines!